Caring Transitions specializes in assisting seniors, but their services are great for any families or individuals in need of help. Caring Transitions Ann Arbor serves Ann Arbor, Saline, Chelsea and the surrounding areas. 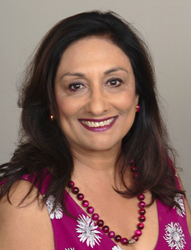 Achla Karnani is pleased to announce the launch of her new business, Caring Transitions Ann Arbor. Caring Transitions’ specially-trained team can handle organizing, packing, de-cluttering, moving, resettling, in-person and online estate sales, liquidations, and preparing homes for market. Caring Transitions specializes in assisting seniors, but their services are great for any families or individuals in need of help. Caring Transitions Ann Arbor serves Ann Arbor, Saline, Chelsea and the surrounding areas. Karnani has lived in the Ann Arbor area for the last 38 years and her career has spanned multiple industries. She earned her Master’s degree at Harvard University and then moved to Michigan with her husband. She was an administrator at the University of Michigan for 12 years. After staying home with her kids for six years, Karnani and her husband parted ways and, as a single mother of two, she went back to school and earned a Masters in Social Work from the University of Michigan and a Law Degree from Wayne State University, back to back. She then practiced family law in Ann Arbor for 11 years. Caring Transitions’ services are perfect for managing the many aspects of a move or a downsizing. Their services can also help families clearing out the home of a loved one who has moved into assisted care or has passed. All of Caring Transitions’ services are customizable, so clients choose the solution that best fits their needs – whether that means managing the entire move and estate-clearing, just getting someone resettled into their new place, or anything in between. “Caring Transitions offers a complete solution. We can help de-clutter, organize, sell, ship things to family members, auction, donate, pack, resettle … you call one company and we can take care of whatever pieces you need us to. We want to be there as a resource so you can focus on the emotional transition that comes with moving, downsizing or clearing out a home,” Karnani said. Caring Transitions is bonded, insured, and their W2 employees have been background checked. For additional information, call (734)627-8026, email AKarnani@CaringTransitions.com or visit http://www.caringtransitionsannarbor.com/. Caring Transitions, founded in 2006, is the first national franchising concept specializing in senior relocation and transition services. With more than 200 locations throughout the United States all owned and operated by Certified Relocation and Transition Specialists, Caring Transitions provides clients with supportive moves, liquidations, auctions, rightsizing, and transitions. This includes expert advice plus a well-executed transition plan beginning with the initial sorting of personal belongings through packing, shipping, and selling of items to the final clearing and cleaning of the property. For more information, visit http://www.caringtransitions.com or visit us on Facebook.